Yesterday I bought a few things. One was a subscription to a training website called www.ProfitHub.com, and the other was a couple of composition books that I love to journal in. What drew me to subscribing was Jeff Usner, a fellow Internet marketer from San Antonio, Texas who I saw on abc’s Secret Millionaire show last Sunday (July 15, 2012). I had heard about Secret Millionaire from Manuel Hudson, a flight attendant friend of mine, on Facebook. He mentioned how he simply enjoyed the show in one of his posts a few Sundays back. Relaxing last Sunday night I glanced at the menu of Dish Network and there it was – Secret Millionaire. So I watched. And Jeff Usner was on. What a show – taking someone who is a millionaire and having them go out and simply bless unsuspecting organizations in need after spending a few days learning about their struggles. But what caught my attention was the fact that Jeff had Internet businesses, they crashed, and he learned some things and got back on his feet again. I could totally relate. So naturally I looked him up online right after the show. And not only the fact that I could relate on the Internet biz level, but Jeff came across as totally believable, and the endorsement by a major television network is priceless. What he does is what I thought had died or that Google had killed – affiliate and Internet marketing. In other words, if someone is selling a great course on dog training, and doing quite well at it – there is a piece of the Internet pie for everyone. 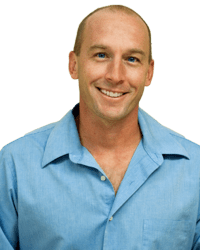 Jeff says, look at the product they are selling and figure if you can do similar, or become a seller of their product and get a kickback as an affiliate. This is still doable today, he claims. By watching the first few videos and reading the feedback, I could see some people want to follow Jeff blindly, yet feel they may not have the seed money necessary to make this viable. I say this because Jeff relies a lot on Pay Per Click advertising for his traffic. And that can get expensive in a hurry. Before I pass any judgement, I really want to absorb the videos and it is always exciting to hear how someone is doing it and making it work. Jeff claims he started out while over $250,000 in debt. So I’m thinking if he did it with that debt load, many people out there hurting and willing to suspend any disbelief and can be coachable, there just might be a beautiful future for them. I’m going back to the videos and will post more as I get more into it. Or… I may simply become a millionaire like Jeff and sail off for Maui.